New Listings! 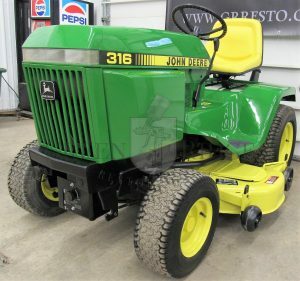 Click to view our latest John Deere 318 and the John Deere 420 now available. Need a shipping quote? Click here to get a quote from uShip to save up to 75% on shipping. Conventional marketing strategy dictates that you must convince the buyer why they should make their purchase. Those marketers don’t know much about John Deere’s. And they certainly don’t know you. You’re someone who has respect for our great country – and for American-built machines architected on a legacy of pride in workmanship. China-made BS from the big-box stores doesn’t cut it with you. Your idea of relaxing? Tinkering in your shop on weekends…and the great outdoors. 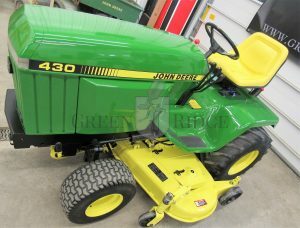 Whether you own 1 acre or 1,000…experiencing the freedom the comes from hopping on your old John Deere and just mowing. Taking in nature, smelling the fresh cut grass…you know…. If you don’t “get it” … we’ll never be able to convince you. Start (or continue) your own John Deere tradition today. One of our customers inspired this article – and we’re betting if you’re a Deere enthusiast, you can relate. 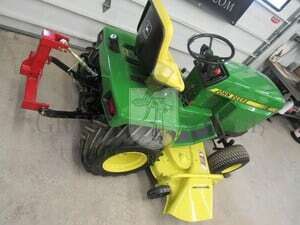 Click to read: When you own a John Deere, you mow because you want to. Not because you have to. [H]ave questions? Reach out to us here. Please note that we are not professional appraisers and do not provide valuation services.